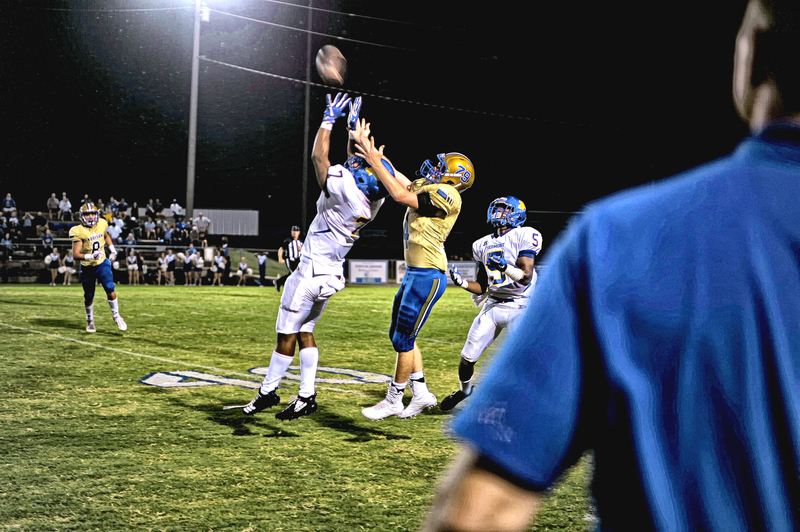 ADDISON – The Piedmont Bulldogs (Class 3A, Region 6) overcame the Bulldogs of Addison (Class 2A, Region 7), 32-20, after a hard-fought game Friday night at Addison High School. Addison quarterback Zayne Guthrie scored an early touchdown ending a long drive after receiving the starting kick off with a short run on fourth down. Addison topped it off with a successful extra point. In the second quarter, another Addison QB, Grant Rice, scored the second touchdown for the Blue and Gold on a short run. Piedmont answered back with a short run for a touchdown by Kaedon Jenkins and a successful 2-point conversion. Addison scored another touchdown not long after with a run by Weston Smith with 3:33 left in the half. Piedmont started climbing back with a 35-yard run for a touchdown by Mason Mohon and again shortly after, with a 69-yard run by TJ Fairs, who rushed for 126 yards with only seven carries, leaving the score at the half 20-20. Coming out of halftime, Addison's defense was strong, holding off Piedmont for most of the third quarter. Piedmont did score another touchdown with a short pass with only 2:34 left in the third quarter. In the final score of the night, Piedmont’s Mohon scored again, leaving the final score 32-20, Piedmont.